Like most of our daily sequels, this one comes from just being on my mind lately. This sequel serves as the true creation of one of the scariest horror movie villains of all time. 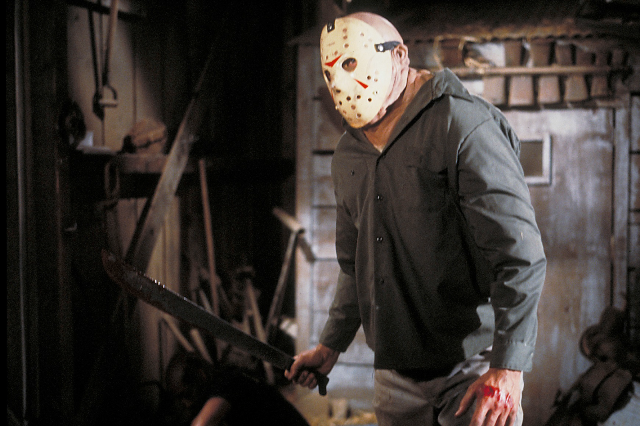 This is 1982's Friday the 13th Part III. What's not to like about F13 Part 3? It has it all: creative kills, a solid story, and the introduction of one of best killer masks in all of horror movies. How can I forget, it's in freaking 3D!